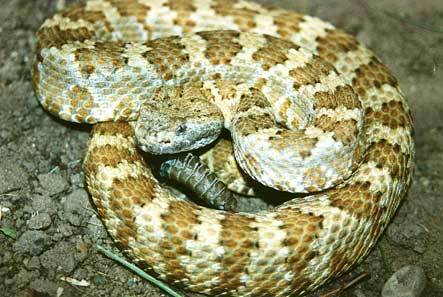 This native species of southern Nevada and adjacent California is primarily a desert dweller. It most often is seen in the hottest, driest areas. Active speckled rattlesnakes have been seen as early as the end of February and as late as December, but April into early October seems to be the most active period. Because surface temperatures in the desert drop so quickly, this snake may only have a few hours of activity per night. They may also bask in the morning, particularly after a meal.